Future Proof – Protecting our digital future » Arrgghhh! RIMPA Convention organisers don’t need to walk the plank! In mid September I attended the Records and Information Professionals Australasia (RIMPA) 2011 inForum Convention in Darwin. The theme was Communicate: Collaborate: Innovate. The Convention was smaller than usual, perhaps a combination of the expense of flying to and staying in Darwin, and the shrinking budgets of some organisations. However, they still managed to draw around 280 people (not sure of exact figures). The combination of the stunning weather (a ‘cold snap’ by NT terms but balmy 33 degree days with mid range humidity), lower numbers and a welcoming atmosphere meant that participants relaxed, networked brilliantly and really enjoyed themselves. 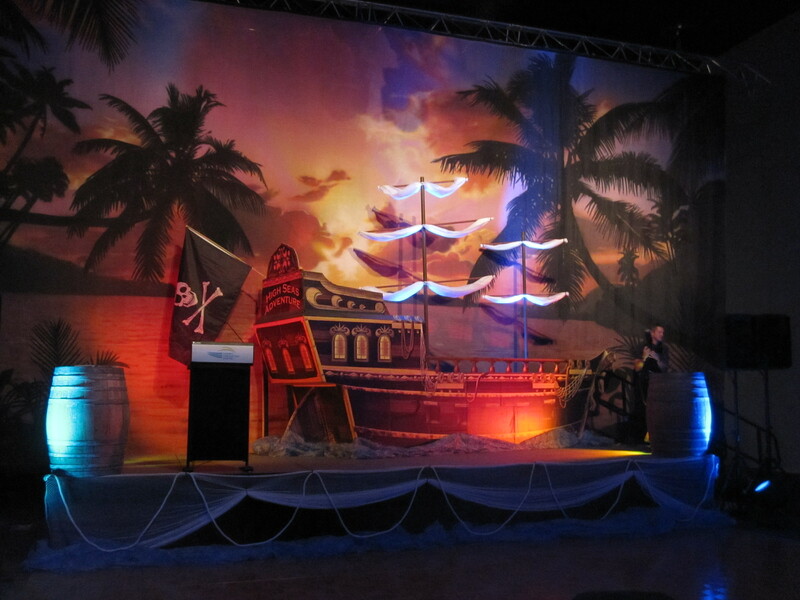 The ‘Treasure and Treachery’ pirate-themed dinner was memorable. Convention organisers have a right to feel proud of a job well done. It was also an opportunity to reflect and learn. I found many of the papers to be of exceptional quality and quite thought provoking. At times it was frustrating that two equally interesting papers were being offered concurrently – leaving me torn deciding which one to attend! I am not going to attempt to review the whole Convention (I’m sure others will) but I have noted a few notable themes and papers that I found of interest. Within the ‘Innovation’ stream the challenges of new technology and emerging standards were common themes. For example, social media and cloud computing were discussed in relation to recordkeeping. Barbara Reed talked about MoReq 2010, billed as the next generation of records management specification, under development by the European Commission. Within the ‘Communication and Collaboration’ stream, a theme that resonated in many presentations was the need for both records managers and ICT professionals to work together – that both perspectives and skill bases are needed to successfully manage digital information. I spoke about the need for collaboration from the recordkeeping perspective. Anthony Wong, President of the Australian Computer Society, delivered a paper from the ICT perspective and it was interesting to see the similar conclusions we both reached independently! It was interesting that Shadrack Katuu, who spoke about managing records in public health institutions in South Africa, also came to the conclusion that where new technology is introduced, but sound records management practices are left out of the equation, implementations are not very successful. There were several overseas speakers at the Convention. For example, Kim Sadler, a former police officer, came to records management after recordkeeping failures by UK police led to the death of two young girls at the hands of an employee at their school. Here is an extreme and heart breaking example of the consequences of failing to make proper linkages between records. B. Todd Hooten gave a rather amusing account of the quagmire of existing security classifications in the US and how they devised a simpler but effective classification process for the International Monetary Fund. Sumrahyadi gave a paper about the pivotal role of records management in building democracy in Indonesia. I am pleased to say that two papers looked at measuring ROI for records management – an often neglected area. How can its value be measured in monetary terms and are our claims about savings valid? Steve Bailey presented a paper by Live Video stream about their work on the JISC Impact calculator which can be found at: http://www.jiscinfonet.ac.uk/records-management/measuring-impact/impact-calculator/index_html Tracy Caughell from Open Text Canada also explained some customer ROI study results in her paper Reducing costs and achieving compliance. This post has just touched on a few of the many excellent papers given. If you are a member of the RIM Professionals Australasia you can read the papers on the members-only part of the website. Some will also be appearing in future issues of their journal, Informaa Quarterly.